As Nephi describes movements back and forth between Jerusalem and the wilderness, he consistently describes going up while moving toward Jerusalem, and going down while moving away from Jerusalem. 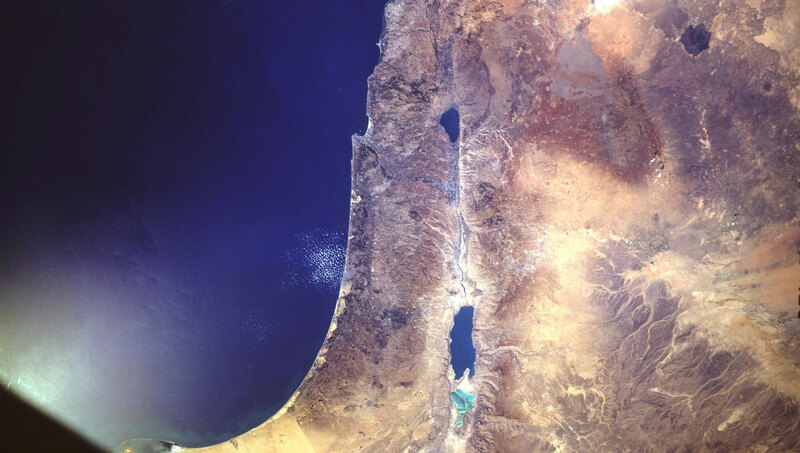 This reality is made dramatically evident in the contrast in elevation at Jerusalem, which is at approximately 2,500 ft. (754 m.) above sea level, and the Dead Sea, approximately 1,400 ft.( 429 m.) below sea level, which is nearly a 4,000 ft. (1,200 m.) decline in elevation. There is also a great deal of meaning in this subtle detail. For ancient Israelites, the elevation of Jerusalem was symbolic of ascending toward heaven. As such, it represented holiness, and was analogous to Mount Sinai, where Moses ascended to meet the Lord. 1. Hugh Nibley, Lehi in the Desert/The World of the Jaredites/There Were Jaredites, The Collected Works of Hugh Nibley: Volume 5 (Salt Lake City/Provo, UT: Deseret Book and FARMS, 1988), 7.